There are many ways you can find an IP address of a website. 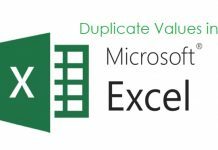 These can be using your command line interface, web browser, or an app. In this how-to guide, we will show you how you can get an IP address of a website in easy steps. A URL, Uniform Resource Locator, tells us about the location of a specific website, page, or file on the Internet in a human-readable form. A Domain Name is a part of an URL. For example, technewstoday.com is the domain name in the URL https://www.technewstoday.com/best-mini-itx-case/. 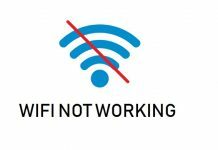 Each domain name has one or more IP addresses associated with it, and that’s how data packets can be routed on the Internet. 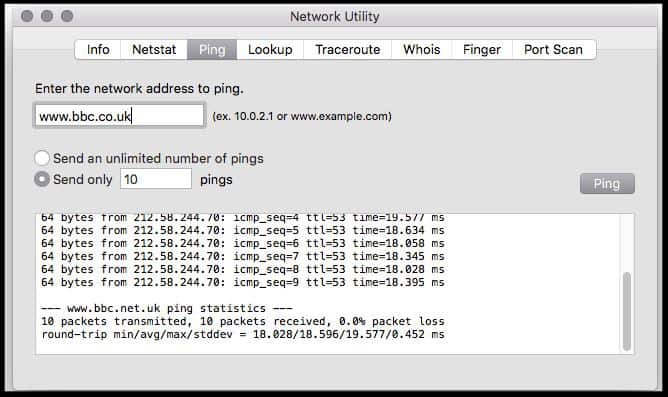 Ping, which stands for Packet Internet Groper, is a network tool to test the connectivity. 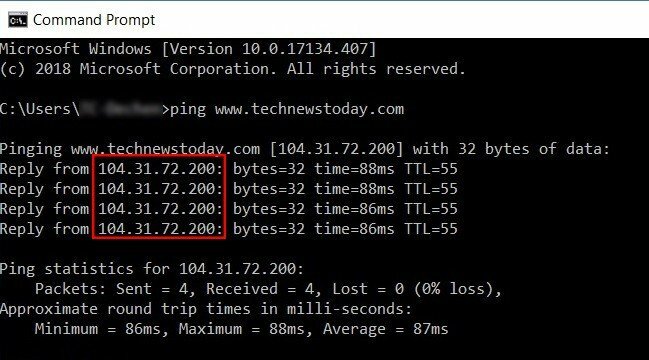 You can ping a domain name and find the corresponding IP address. Step 1. Open Command Prompt app in Windows or Terminal on Mac. Alternatively, you can use Network Utility app on Mac. To open Command Prompt, press the Windows (⊞) key, and type “cmd”. 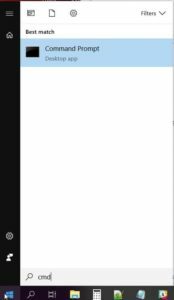 Select Command Prompt from the search result. You’ll find the website IP address in the ping result. The dotted decimel after Reply from is the IP address of a site. 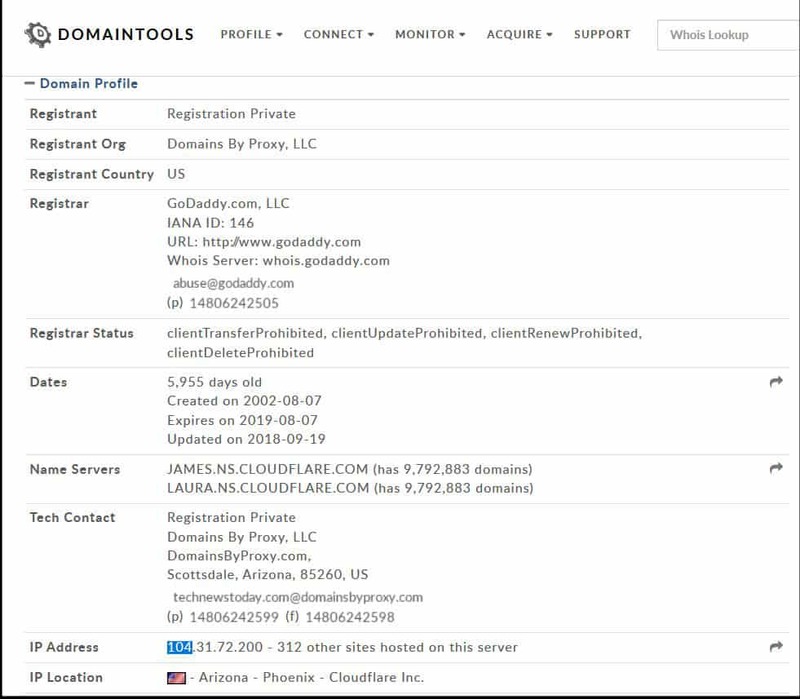 Nslookup is a network tool for querying a DNS (Domain Name System) to obtain a domain name, an IP address, or for any other DNS record for a website. Step 1. 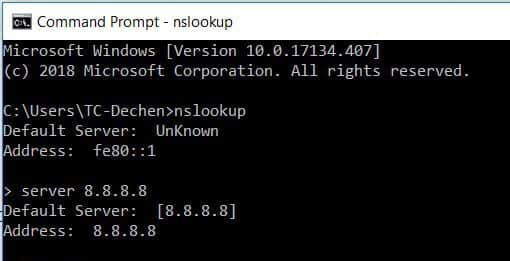 Type nslookup at the command prompt, and press Enter. Step 2. Type Server x.x.x.x where x.x.x.x is the IP address of a DNS server. You can use an IP address of a popular DNS server like Google, cloudflare, or OpenDNS. For Google DNS, the IP address is 8.8.8.8. Hit Enter. Step 3. Type the domain name of the website you want to find the IP address of, and press Enter. The result is located under addresses. For popular websites, there may be more than one IP address. TraceRoute is a convenient network tool to determine the network route a data packet will take. It also gives the IP address of each hop router on the way. Step 1. At the command prompt, type tracert and the name of a website. When you hit Enter, your network packet will hop along the routers en-route to the web domain. The final or the last IP address is the IP address of a website. Occasionally, you will see * in place of an IP address of the intermediate routers. Some companies do not want to disclose their IP address for the security reason. We can get an IP address of a website by querying in a popular DNS site. For example, Google provides an online page to get the IP address information of a domain name. Step 2. Type in the website address in the Name field. You will find the IP address of the domain name you typed in. Web hosting sites may offer an IP address lookup service. For instance, Site24x7 provides DNS info lookup from their webpage. You can find the IP address along with other information about a website. There are several tools available on the website like website ping, DNS analysis, or vulnerability checkup. IPinfo offers a neat page to check DNS information of a website. 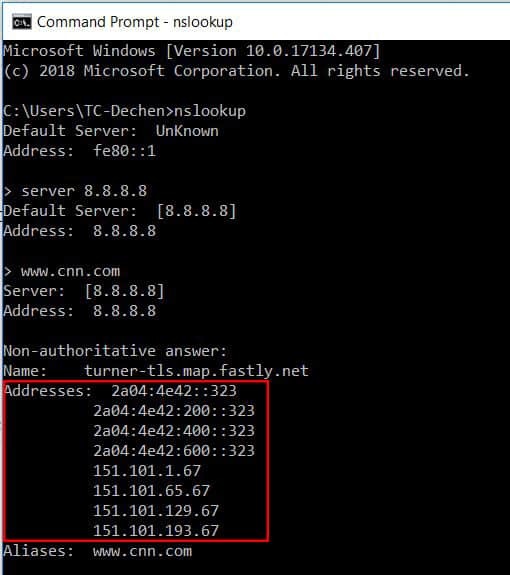 IP address of the website you entered in displayed under the DNS Lookup. 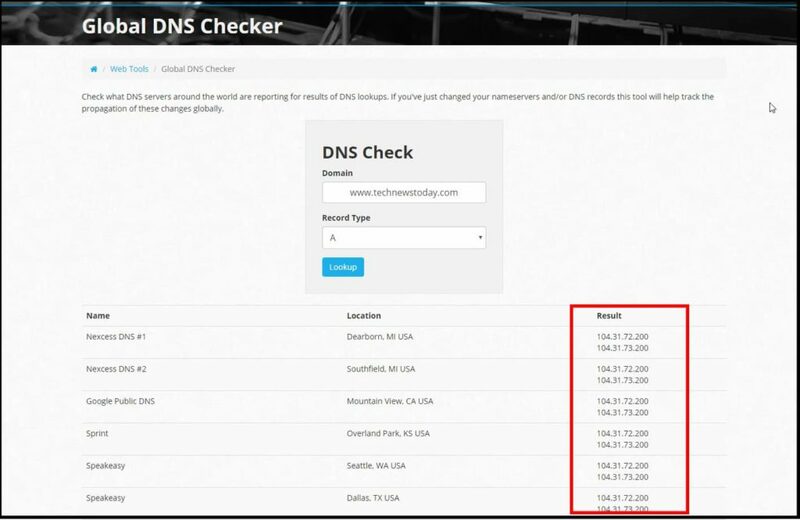 This site checks what DNS servers around the world are reporting for results of DNS lookups of a website. Step 1. Go to Global DNS Checker site. Step 2. Enter the name of a website under Domain field box, and choose the Record Type as A for IPv4 address lookup. Hit Lookup. The IP address of a website is under Result. 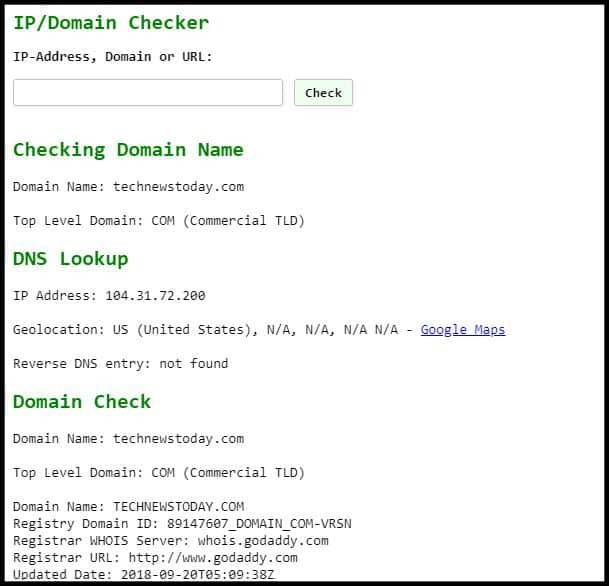 You can use one of the Whois search websites to find an IP address of a domain name. For this example, we will use Domaintools website. Step 2. Type in the website address under Whois Lookup, and hit search. You will find the IP address of a website towards the bottom of the result page. 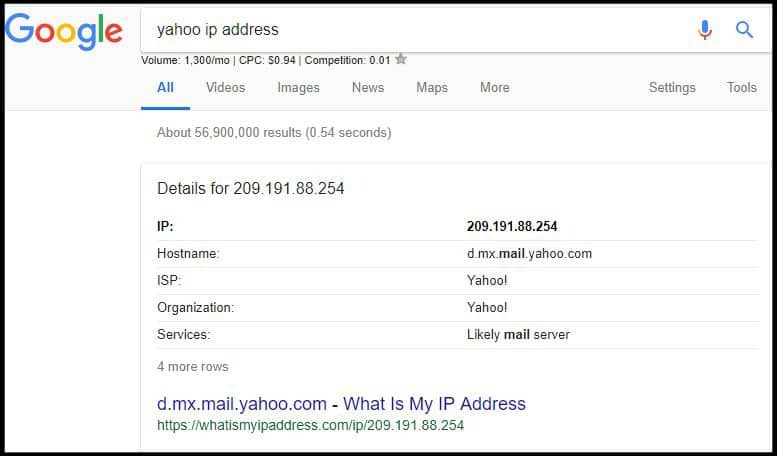 If the IP address you want to find is of a popular website, then search engines may keep a record of the IP address in its cache. Entering just a website name in the search field will take you to the actual website. You can type the word “ip address” after the domain name. Step 1. Go to a search engine page. Google is a popular search provider. You can search from the address bar in newer web browsers. If the IP address information is available, then the search engine will show the IP result of the website entered. With smartphones and tablet devices being widely used these days, this article will not be complete without mentioning a solution to mobile users. 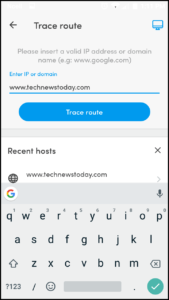 While you can easily use a phone browser to search for an IP address of a website, you can use a dedicated app for the purpose. There are numerous apps that do the job for both Android and iPhone. For this article, we have chosen a free network app called Fing. Step 1. Install Fing app on your Android device or iPhone. It is a free network app and allows you to do more than just find an IP address of a website. Step 2. 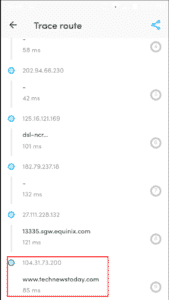 Open the Fing app and tap Trace Route from the available tools. You will find the IP address of a website as the last hop IP address. 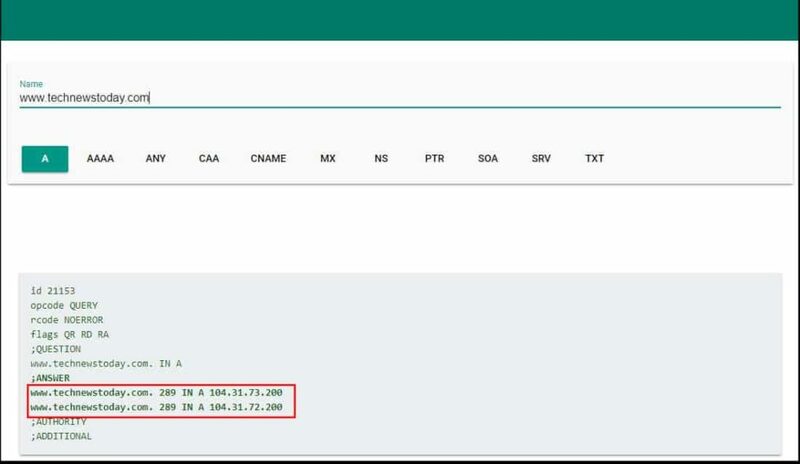 If there are many hops from your end to the website server then you will have to scroll down the screen to find the IP address of a domain name.